In 1985, Normand LeClerc was approached by Peter True, owner of “True Refinishing”. Mr. True had a business proposal for Normand. Mr. True was moving to Florida to retire and offered to sell Normand his refinishing business of 14 years. Normand had been working in the aerospace industry and leapt at the opportunity to become an entrepreneur and spend more time with his family. Normand was the son of a French-Canadian carpenter, and grew up with a love of building and fixing anything and everything. Normand was happiest when he was working with his hands on a challenging project such as repairing a broken chair, getting a small engine running, or even restoring an antique car for a client or his own small collection. With an increased customer base, CFR outgrew it's initial home and relocated to a small commercial building on West Main St. in Cheshire. More employees were taken on to alleviate the greater demand now being placed onto CFR. The new and larger facility allowed for a new business venture into antique sales, and "Memory Lane Antiques and Furniture" was opened. As time went on, the desire grew to purchase a permanent shop location. The search ended in 1991 as CFR moved around the corner from West Main St to Willow St.
Then in 2000, Normand's youngest son, Gary LeClerc, officially joined the CFR team. With a back-ground in art and a passion for fine style and design, Gary injected a fresh new perspective on the family business even at a young age. 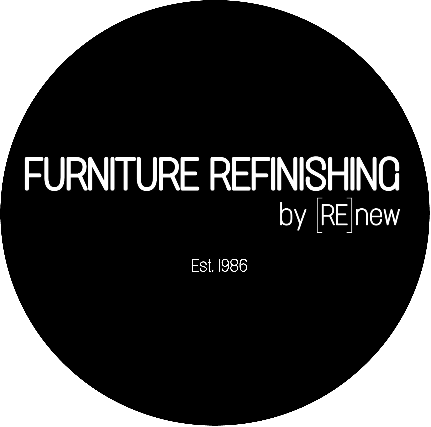 Initially viewing CFR as a “stepping stone” to future ventures, Gary never believed he would turn furniture refinishing into his career. However, after only a few years of working for his father, Gary fell in love with the craft and found the art that made furniture renewal so exciting and rewarding. In 2005, Normand and Gary officially became partners and then in 2010, Gary took over CFR completely which would be the beginning of a new chapter. Out of CFR was born [RE]new.